Today, ARMAC had the pleasure to host a meeting with a delegation from Norway led by H.E. Mr. Hans Brattskar, Ambassador, Permanent Representative of Norway to the United Nations and the 2019 President of the Anti-Personnel Mine Ban Convention. 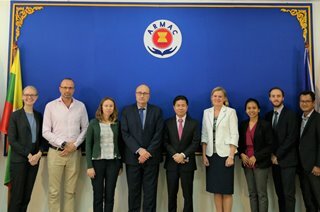 The 8th Meeting of the Steering Committee of the ASEAN Regional Mine Action Center (ARMAC) was held on 6 December 2018 at ARMAC’s headquarters in Phnom Penh, Cambodia. The 17th Meeting of the States Parties to the Anti-Personnel Mine Ban Convention is currently underway in Geneva. The meeting gathered more than 600 delegates to take stock of the status of the Convention and its current level of implementation. 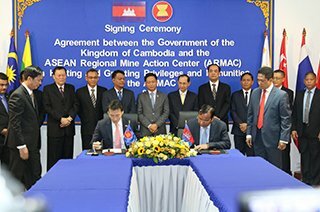 Today, ARMAC and the Cambodian Mine Action and Victim Assistance Authority (CMAA) signed a memorandum of understanding to facilitate greater coordination and cooperation between these two important mine action stakeholders. 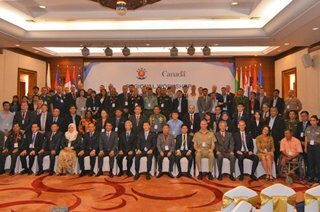 Today is the last day of ARMAC’s Regional Workshop, funded by the Mission of Canada to ASEAN. 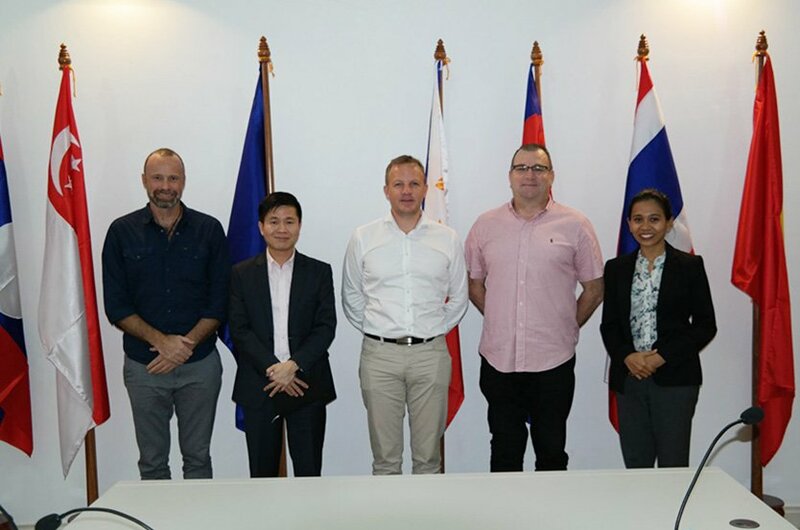 Over the last three days the Workshop has covered the full scope and breadth of mine action and brought together ASEAN and international stakeholders to share their insights and knowledge. 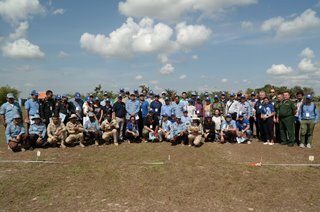 Day two of ARMAC’s Regional Workshop was held today in Siem Reap and began with a field trip to the Cambodian Mine Action Center Deming Unit 4. Participants were welcomed by H.E. Mr. Prum Suonpraseth, Senior Director of CMAC, who briefed the attendees on the history and progress of mine action in Cambodia. 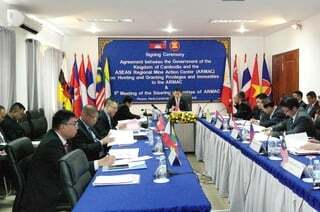 Today is the opening day of ARMAC’s inaugural Regional Workshop, funded by the Mission of Canada to ASEAN. 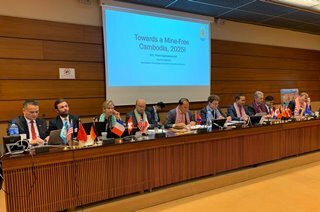 The Workshop’s aim is to “enhance mine action knowledge and promote future platforms of mine action knowledge sharing for ASEAN Member States”. 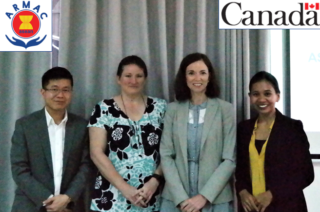 ARMAC had the opportunity to host a meeting, in collaboration with SingHealth, on the “Assessment on the Needs and Resources for Mine/Explosive Remnants of War (ERW) Victim Assistance in Cambodia”. 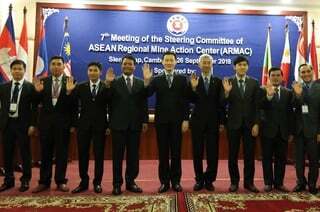 The 7th Meeting of the Steering Committee of the ASEAN Regional Mine Action Center (ARMAC) was held on 26 September 2018 in Siem Reap, Cambodia. 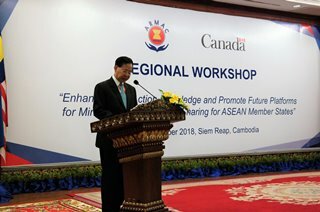 The ASEAN Regional Mine Action Center, with funding support from the Government of Canada, is pleased to announce its inaugural Regional Workshop. 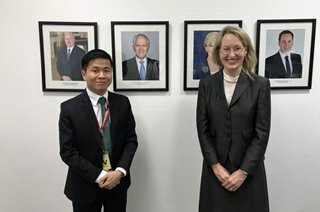 The Executive Director of the ASEAN Regional Mine Action Center (ARMAC) paid a courtesy meeting to Ambassador Jane Duke, Australian Mission to ASEAN, in Jakarta, on 7 August 2018. 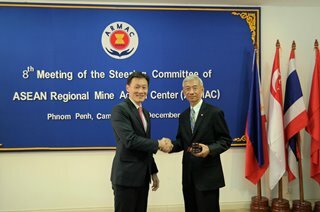 JAKARTA, 07 August 2018 - The Executive Director of the ASEAN Regional Mine Action Center (ARMAC) paid a courtesy meeting to H.E. 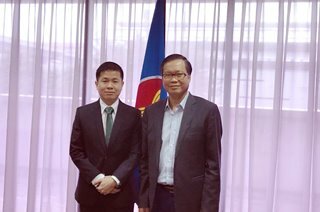 Dr. Hoang Anh Tuan, Deputy Secretary-General for ASEAN Political-Security Community, and H.E. Dr. AKP Mochtan, Deputy Secretary-General of ASEAN for Community and Corporate Affairs at the ASEAN Secretariat, Jakarta. 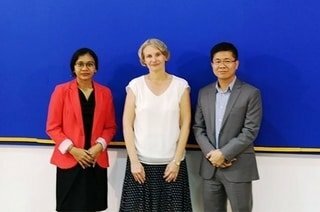 Executive Director of ASEAN Regional Mine Action Center (ARMAC) hosted the visit of Ms. Daniela Dempf, First Secretary and Deputy Head of Mission, Embassy of Germany in Cambodia, to the ARMAC Permanent Secretariat on 19 June 2018. 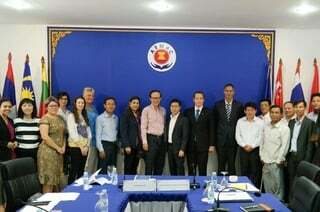 The 6th Meeting of the Steering Committee of the ASEAN Regional Mine Action Center (ARMAC) was held on 29 May 2018 in Phnom Penh, Cambodia. Today is the International Mine Awareness Day, and the world has marked this day, 4 April, to commemorate the mine action which has been conducted throughout the world and to keep reminding us the urge of mine action not only to save lives of people but also to elevate the development. 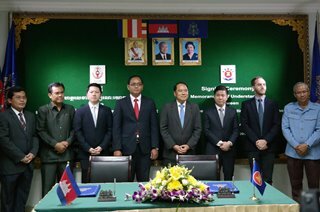 The 5th Meeting of the Steering Committee of the ASEAN Regional Mine Action Center (ARMAC) was held on 27 February 2018 in Phnom Penh, Cambodia. H.E. 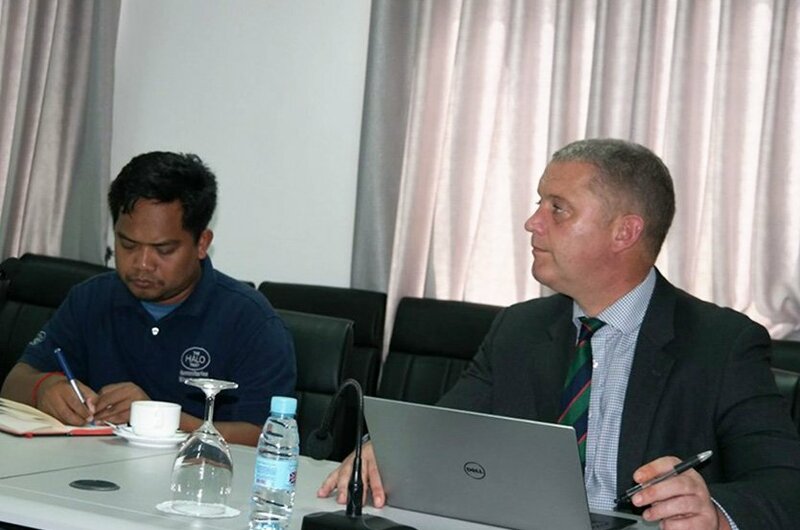 Prak Sokhonn, Senior Minister, Minister of Foreign Affairs and International Cooperation of the Kingdom of Cambodia. 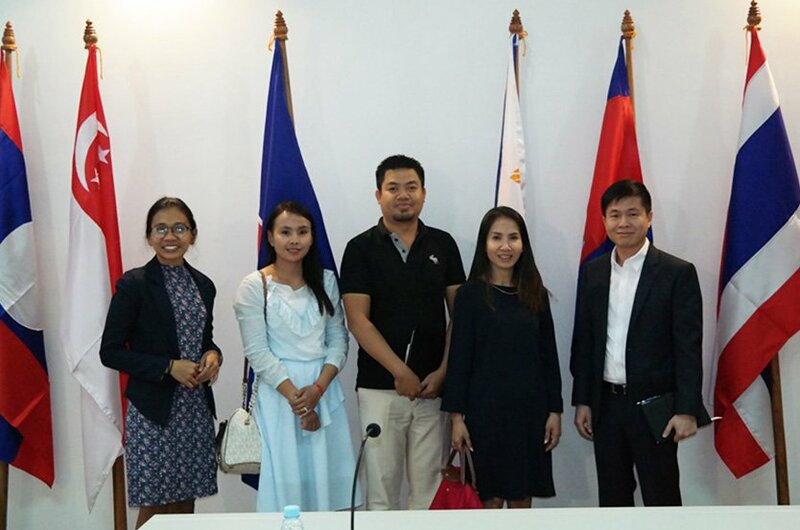 ARMAC hosted a meeting with HaloTrust in permanent secretariat on 15 January 2018. The purpose of meeting is to pay respect on to ARMAC and to congratulate the ED of ARMAC for the enrollment in the ARMAC operationalisation. ARMAC hosted a meeting with Australian Volunteers for International Development (AVID) in ARMAC Permanent Secretariat on 9 January 2018.